Illustrations, I love them. Today, I caught some great ones in the net. 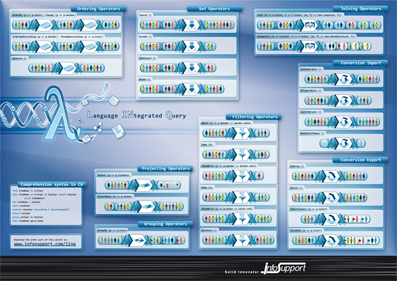 The dutch company Solid Innovator made this quite beautiful illustration of the standard Linq sequence operators. Download the PDF at Solid Innovator. I don’t use Linux but I love this illustration; the only problem is that the original vector graphics in the middle has been rasterized and in far too low resolution so you can’t zoom properly into it without seeing artifacts. A shame. Download the PDF at O’Reilly. 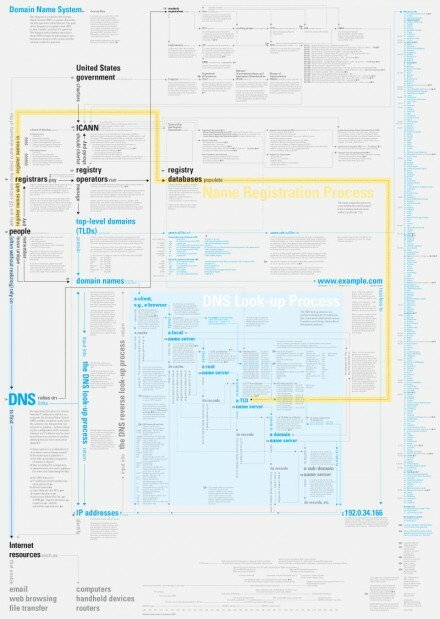 This is a complex illustration or visual guide to the Domain Name System. The illustration is made by Dubberly Design Office (ddo). This entry was posted in Art, Datamodel, Operating System, Technical and tagged Architechture, Art, DNS, Domain Name System, Illustration, LinkedIN, LINQ, Linux. Bookmark the permalink. Nice! =) Specially the Linq one. ELO is playing in my home town soon. I just don’t remember if I like them or not, if there’s any tracks that are good enough for my taste.